Are you familiar with the superstition of saying “Rabbit, Rabbit” on the first day of the month? I hadn’t heard of the expression until a friend said it to me last month. According to superstition, you should say or repeat the word “rabbit” or “rabbits”, or “white rabbits”, out loud upon waking on the first day of the month, because doing so will ensure good luck for the duration of that month. As with most folklore, there are numerous variations of this expression, but I couldn’t find out much about the origin of “Rabbit, Rabbit” other than a little tidbit on Wikipedia. With arrival of March, we’re 20 days closer to hopping into spring, so I have some “rabbit, rabbits” to bring good luck, along with a little spring and Easter inspiration! 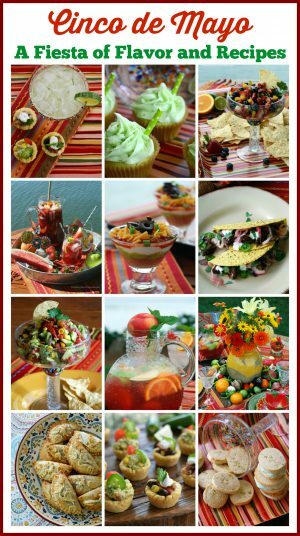 Click on the links or photos for the complete recipes, sources, and table inspiration. Easter’s on its Way Table with Plaid, Bunnies, Eggs and Tulips! And a quick recipe for Strawberry Balsamic Vinaigrette. Fun and easy for Easter with petite palmiers hiding in the salad greens! Would be cute to serve for a baby shower or with egg salad for Easter! Always try to say rabbit as the first word of the first day of a new month. Have no idea where it came from but certainly can’t hurt!. 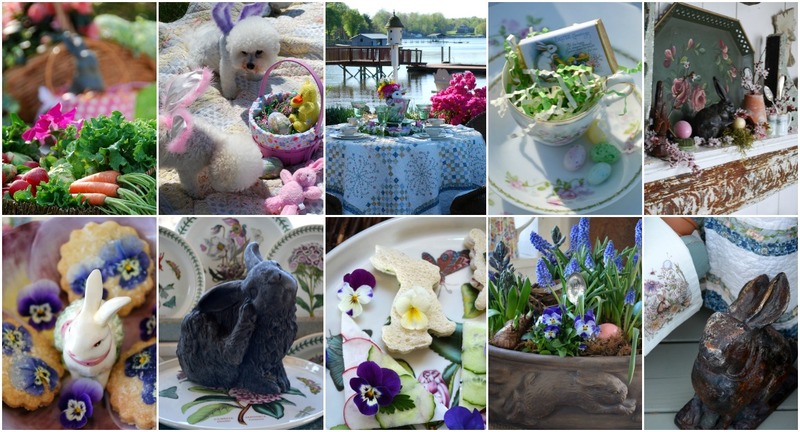 Love all your bunnies and beautiful table settings. I have quite a few rabbits I use for spring decor but would love to find more especially some lovely plates that you use. Also will be trying some of your recipes this Easter. Thank you. Stay safe today. N.C where I also live looking for March to roar in like a lion with Thunderstorms. I’ve never heard of “rabbits” it’s a bit more violent here (England). For us it is “pinch, punch, first of the month” needless to say it is important to get in first and before noon. Mary, I have never heard of that superstition before! Your round-up of inspiration was perfect for the first day of March…so much prettiness! Happy Wednesday! Once again, I am inspired! 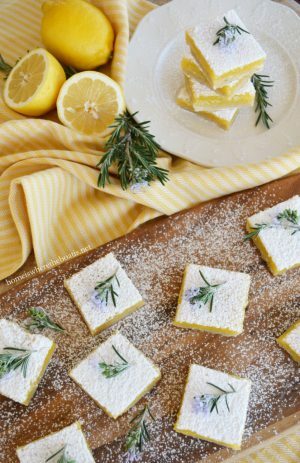 After enjoying every single nuance of every single vignette you post, I feel the impulse to give something as mundane as a dinner napkin a little extra zest! What a fun way to welcome the new month. Great idea using a drawer for a blooming garden! 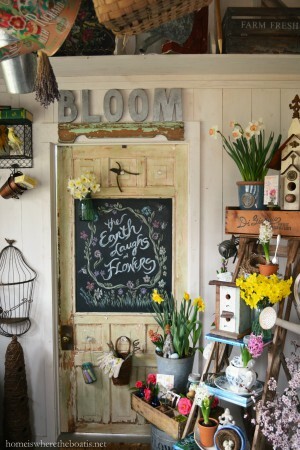 Beautiful way to welcome Spring with the tablescape “In the Potting Shed with Flopsy, Mopsy, and Cotton-tail.” Spring is one of my favorite Seasons with all its newness of life & plants waking up to new blooms & buds. Thanks Mary. Rabbit, rabbits! This post is full of inspiration, Mary. I pulled my boxes of Easter things out of the attic yesterday and hope to get some rabbits hopping around here soon. Spring weather is here, and time to get myself digging in the dirt. Sadly, the garden didn’t fare well this winter, and there is much to do. Your blooming vignettes are motivating me to get busy! I love the little row of 5 rabbits sitting on a drawer front, I think? Such creativity! Love your posts! I have never heard of saying “Rabbit, rabbit” on the first of the month. That’s a new one to me, Mary! I loved seeing all your bunny inspiration, Mary, and hopping down the bunny trail with you. My children taught me if you were the first one to say rabbit to someone else on the 1st of the month it meant you would have “good luck” . Therefore they wouldn’t – hurt feelings always abounded ! Your blog makes me happy for Spring! I never heard the Rabbit story. Love your settings. Everything you show is so beautiful. Thank You for sharing. Never heard of the Rabbit. I love your Spring and Easter photos. The Rabbit story is new to me. I have not heard of Rabbit Rabbit ,:) But I sure love all your spring and Easter photos !! i did not know of this superstition!…Obviously, did not say it as soon as i woke up this morning, but I said it many times since I found out!…Rabbit, Rabbit!….and while we are on the subject of Rabbit, Rabbits, I must say that you have always created the most wonderful vignettes and recipes with that grand ‘ole Hare….Looking forward to your beautiful Spring posts! Beautiful post! Love all your recipes and pictures. Need to find a rabbit mold for that scrumshious egg salad! Have a wonder week! Oh Mary, I am hopping up and down with glee at your bunny round up! March 1 is always a favorite day for me, because it means winter is basically over, yay! I didn’t know about saying rabbit rabbit on the first brings luck, do you think if I said it a bunch of times today that would work 😂 You have inspired me to hunt for my eggs and moss, and start thinking bunnies, baskets, and blooms! As always, your displays are wonderful and inspiring, thank you! When I met my husband, he introduced me to ‘Rabbit, Rabbit,’ something he learned in college. We have passed this tradition down to both sons and daughter-in-laws so now it’s a game who can text ‘Rabbit, Rabbit’ first! Needless to say, hubby and I usually aren’t awake at midnight so we lose. Occasionally (usually for April), I put together ‘gift’ packages complete with items representing the season and of course at least one rabbit. Each son/daughter-in-law gets the package via mail with a little card saying ‘Rabbit, Rabbit.’ I try to time it so they arrive on April 1 but sometimes USPS isn’t compliant…ah well. But it’s a lot of fun putting together the boxes and the kids enjoy receiving them. So ‘Rabbit, Rabbit’ always brings a smile to our family. Well saying rabbit rabbit is a new one on me! You have such a wealth of wonderful displays and food items. I love bunnies for Easter. I keep adding more to my collection! I’ve heard “Rabbit, Rabbit” before, and I want to say it has Celtic origins, perhaps Irish? And the first one to say it gets the luck 🐰🐰. Your bunny theme is a tonic for capricious March. Every photo inspired. Adore the napkins tucked into garden gloves, and the centerpiece is so gorgeous. So many lovely details! Never heard Rabbit !Rabbit Either! Great story ! I Am in Love with rabbits!! I have a cottage room in my farmhouse truly devoted to rabbits and bunnies ! Last count was 65 ! 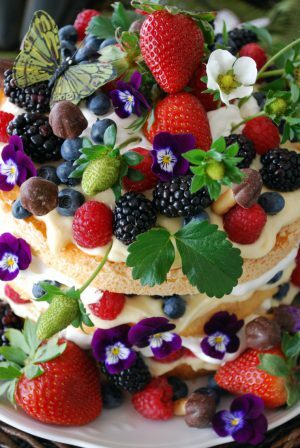 Love ALL your fabulous posts and beautiful food ideas ! You are truly the decor Guru ! Great job! Rabbit!rabbit ! Like several others, I’ve never heard of “rabbit, rabbit”. March 1st was my 69th birthday and I made sure when I saw your blog today to say “rabbit, rabbit”. Love the bunny theme. where did you purchase the adorable wheel barrows & bunnies ? O.M.G. I love the bunny ear napkins…every thing looks beautiful but those napkin rings are . the best. gorgeous gorgeous gorgeous……. All darling ideas! I just love bunnies in decor, but oh how torn I am about the actual critters. Tired of them eating my annuals and other flowers, not to mention the grass – oy! Maybe they heard someone calling ‘rabbit rabbit’ before today :-)! You have the best collection of creative designs! I love that food tray with the rabbit and his basket topped with cucumber strips and the potting shed gloves with the lacy edged napkin combo! WOW!!! What a round up! Pinned and saved!! !